There is something about the past which makes anything lost to history remain entangled in our present. The desire to remember the past and bring the ideas into a modern day world is embellished by all media formats. As an industry, the video game world is quite young, however early games are night and day to the advances in both technology and design that we see in the modern games that we play. Two distinct trains of thought bring past experiences in gaming to the future. Either a game is brought up to modern standards as a remake shaped by techniques learned since the initial release, or a modern game is a deliberate throw back to the previous eras. Pirate Pop Plus is the latter, taking inspiration from past games such as Pang (also known as Buster Bros.) and sticking close to the heritage of the genre to create a nostalgic title. 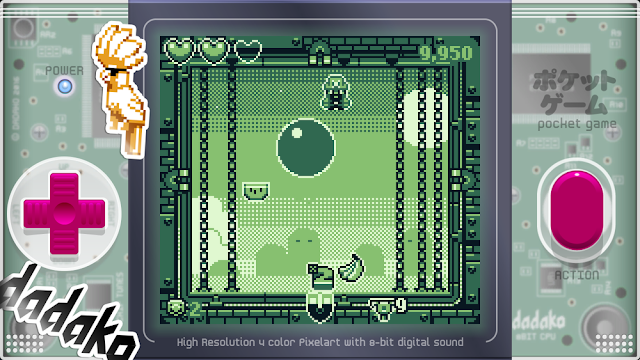 Like the aforementioned game, Pirate Pop Plus is a 2D title which players will pop spawning bubbles and enemies with the array of power ups they pick up as they play. However, this game takes the concept further by introducing gravity based mechanics which allow the player to flip to any of the four walls instead of one flat walking surface. The best part of this mechanic is that it allows you to pop bubbles while in free fall, which both looks and feels cool to pull off, and adds some much needed depth to the simplistic arcade concept. Like an arcade game there is two game options; normal mode which is a much safer option for first timers, and then hyper mode which speeds up the game and costs 25 in game coins to play. Wrapped around the two game options is an old fashion style gaming handheld skin that gives the game a strong 90s pop culture flavour. So outside of the nostalgia what is Pirate Pop Plus? If you strip away the elements designed to induce the nostalgia, you will find that the core gameplay still resembles ideas not used in game design for quite some time. However, with modern twists it feels solid enough to make it fun to a modern audience. There are questions about the game's substance, however. As previously mentioned the game gives you coins which you can use to purchase colour, sticker and display colour options. You can even purchase chip tunes to change up the sounds you'll hear as you play. While these are mostly cosmetic the game is really relying on its arcade scoring system to be enough to get you to keep coming back to beat your previous score. The title also released on the Nintendo 3DS recently, a platform I feel the game is far more suited for then a PC experience. As a PC game, it lacked the substance for me to feel like I would open the game and continue playing it weeks down the track. The cumbersome nature of PC gaming and the reputation that it is for bigger beefier titles makes me switch to a larger scaled multiplayer game or expansive adventure game instead. 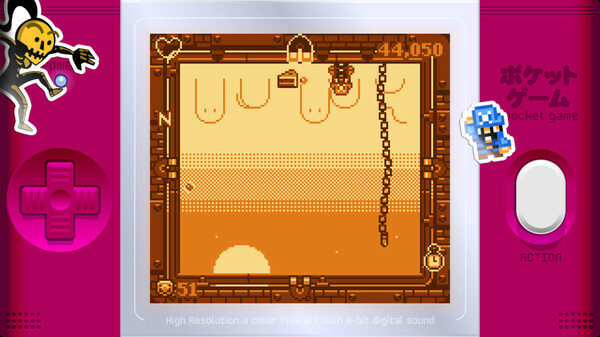 However, as anyone with fond memories of playing Snake on the old Nokias will remember, it's okay for retro-themed portable games to be light on content; all they needed was high scores to beat. This is one of those games which you could buy on a portable device and enjoy far more because of that.